No matter how many times anti-gun lies and correspondent misinformation are debunked, former New York City mayor Michael Bloomberg and his gun grabbing organizations are adamant about disarming Americans. Everytown for Gun Safety is hosting a training for aspiring journalists in Phoenix, AZ from April 17-18, 2015. The training is being put on by the Dart Center for Journalism and Trauma, which is a project of Columbia University’s Journalism School. On the workshop’s website, The Dart Center cites a generous grant from the group that made the workshop possible. According to the Sarasota Herald-Tribune, Everytown gave the center $48,000 for the workshop. The center is also offering a $350 travel stipend to students. This should come as no surprise. Institutions of higher learning are hostile to the Second Amendment. 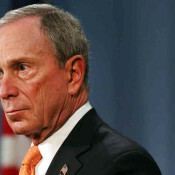 However, it’s disconcerting to see Michael Bloomberg extend his anti-gun tentacles.